Fasmatech’s Management team is ready for business. In addition to the founding team, Dr. Emmanuel Raptakis and Dr. Dimitris Papanastasiou, Fasmatech has added 3 talented scientists and engineers to lead its development efforts. Fasmatech establishes an R&D facility in Lefkippos Technology and Science Park of Attika (TESPA Lefkippos), located in the campus of Demokritos National Centre for Scientific Research (NSCR Demokritos). 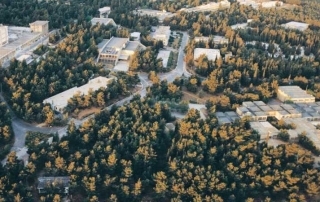 The campus is found in the Agia Paraskevi suburb of Athens, in a pine-tree forest at the foot of mount Ymittos. 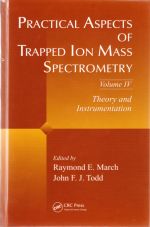 Dr. Dimitrios Papanastasiou, Fasmatech CSO (first author), and Dr. Emmanuel Raptakis, Fasmatech CEO (co-author) contributed chapter 19 in a new textbook entitled “Practical Aspects of Trapped Ion Mass Spectrometry- Theory and Instrumentation”. The textbook was edited by the distinguished Professors Raymond E. March and John F. J. Todd.